The 2018 Topps Heritage Baseball Card Set features 725 cards. Based on the original 1969 Topps design, the player cards are featured with the same crisp, clean look of the era. The 2018 Topps Heritage Baseball Card Series One Set consists of cards #1-500. Staying with the popular trend of past years, Heritage cards #401-500 are rarer SHORT PRINT (SP) cards. 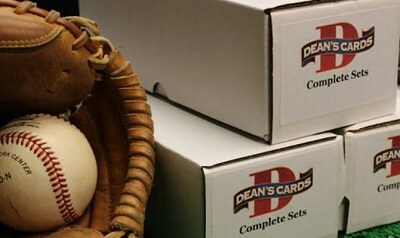 These SP cards sell at a premium and have always been very popular with collectors. The 2018 Topps Heritage Baseball Series Two contains cards #501-725, with cards 701-725 being the rare SHORT PRINT cards from this series. Key 2018 Topps Heritage Cards include: Bryce Harper, Aaron Judge, Jose Altuve, Mike Trout, Joey Votto, Giancarlo Stanton, Kris Bryant, and Yankees Rookie Prospect, Clint Frazier. League Leader cards and Team Checklists are also prominently featured in the set. Showing 1 to 100 of 732 products.